If you thought the Chevrolet Colorado ZR2 was an extreme off-roading machine, you’re going to be amazed by the upgrades that have been made to create a new version of this truck. Not only will you see a new off-road truck for the drive, this new model will include the benefits of a full manufacturer warranty that makes it easy to have the peace of mind you want even when you take this truck on the trails. 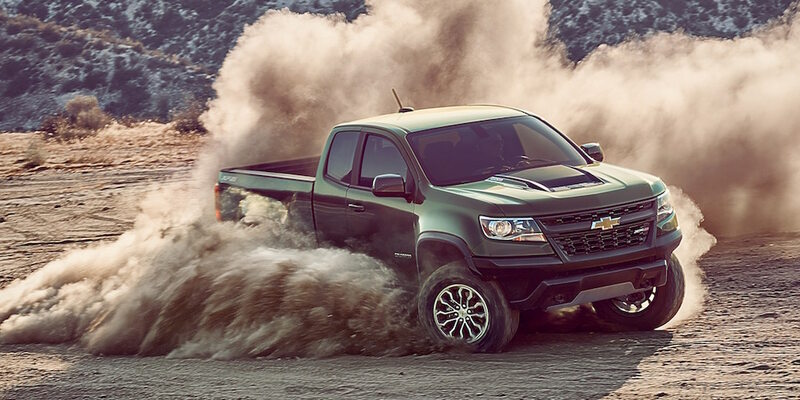 The new version of the Colorado ZR2 is now called the Bison which gives it a tough name for you to admire. In order to make the Chevrolet Colorado ZR2 Bison worthy of the name, Chevrolet chose to collaborate with American Expedition Vehicles (AEV) to create a truck that’s ready to be taken on the trails. As overlanding and extreme off-roading have become more popular, the need for vehicles like this Chevy Colorado that are built for this type of experience have become more necessary. This is where AEV comes in and when matched with the Colorado ZR2, where the Bison comes out. This new version of the truck is one that will allow you to have more fun and seek out more adventure. The new Bison is offered with the factory steel bumpers, five hot-stamped Boron steel skid plates that cover the oil pan, fuel tank, transfer case, and front and rear locking differentials. Other items added to this truck to give you more of what you want include the front bumper which has winch provisions and integrated fog lights while the rear bumper has recovery points built in to make sure you can be rescued if needed. If you want to take the Bison through some deep water, it can handle the job with a snorkel that’s also available to you. When you see this new truck out on the trails or on the road, you’re going to see a unique grill that does away with the bowtie and adds a flow-through lettered grill that spells out Chevrolet for you. There are also larger fender flares, beefy 31-inch Goodyear Wrangler Duratrac tires, and 17×8-inch aluminum wheels that are only used for the Bison. These qualities make this an amazing truck for you to have the fun you’re looking for out on the trails where you’ll find some amazing adventure. You can choose either of the two engines that are offered in the ZR2 for the Bison model. This means the standard offering is a 3.6-liter V6 that provides you with 308 horsepower and 275 lb.-ft. of torque. Of course, you can also have the 2.8-liter Duramax diesel engine that gives you 186 horsepower and 369 lb.-ft. of torque for the drive. Choose either the six or eight-speed automatic transmission, a crew or extended cab, and long or short bed to have the truck that you want to drive and take out on the trails.